Blog reader Gerry on NB Dash left a comment asking where I obtain my maps from. I use six different types of maps and five are free. For canal cruising we use Paul Balmer’s excellent canal maps (Waterway Routes). They provide all the detail we need to safely navigate around the network. These are the only maps which have to be purchased. For casual walking around the area in a city I’ll use Google Maps. As we don’t have a data plan on our android phones we tend to download the required portion of the map and use it offline. I use Google Earth to check some of my planned longer rural walks to ensure the footpaths actually exist. It can also give me a better idea of the terrain. I like to upload missing data to the Open Street Map project. What I will do is look at the online Ordnance Survey (OS) website map (free) of the area I’m in and check what footpaths are on the OS map but not on the OSM. 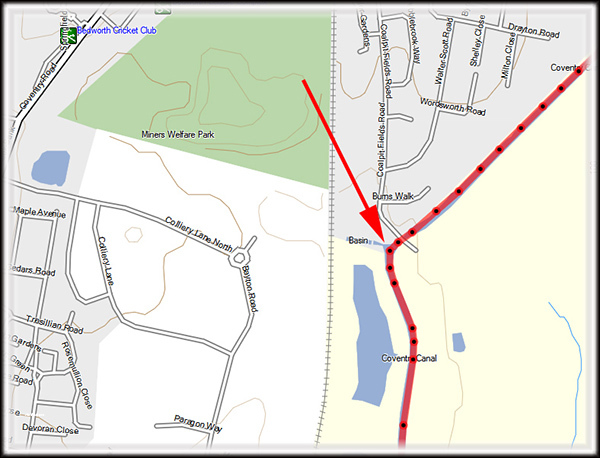 I then make a trace of these missing paths and upload them to my gps. When I’ve walked the paths and captured the data on my gps I upload the paths to the OSM website. If I need to find a post code I use the Post Code Finder website. By zooming in on the area of interest I can see all the relevant post codes. The maps I use for general browsing and planning my routes along with vehicle routable (voice direction) come from Talky Toaster. 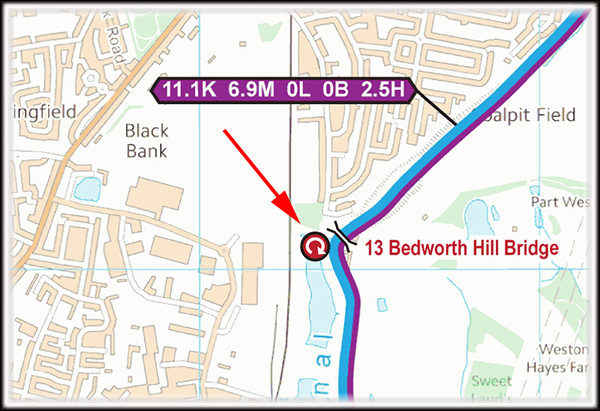 The owner of this website uses the OSM data to produce maps for Garmin Gps devices. I use his maps on my handheld Oregon GPS and Nuvi car GPS. If you only want to view the maps on a pc then it is also possible to install his map onto a Windows or Mac pc using the Garmin BaseMap program. Both the BaseMap program and the Talky Toaster maps are free. Download the BaseMap program from Garmin here and install it only your computer. Go to the Talky Toaster website and scroll down the list of maps until you find the follow version. Download the above zip file and install it. Talky Toaster provides some additional instructions on how to install the mapset in his FAQ section here. Scroll down to paragraph 2A. I find the combination of BaseCamp and Talky Toaster maps have more detail than Google Maps. I also find the map layout much easier on my eyes than the electronic Ordnance Survey maps. As usual, Jan was up with the sparrows and thought the condensation on the porthole glass was unusually heavy. It took a few seconds to realize that there was nothing wrong with the double glazing, it was very misty outside. Eventually she woke me (still waiting for that cup of tea and biscuit in bed…….. a small voice in my head tells me it’s going to be an unusually long wait) and I made the weekly call back to dear old mum. 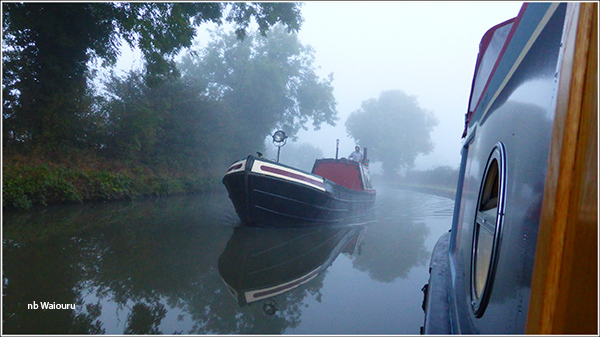 Meanwhile Jan could hear a thumping noise and looked out the window to see a working boat appear from the mist. Eventually I stuck my head out the rear doors to have a look. 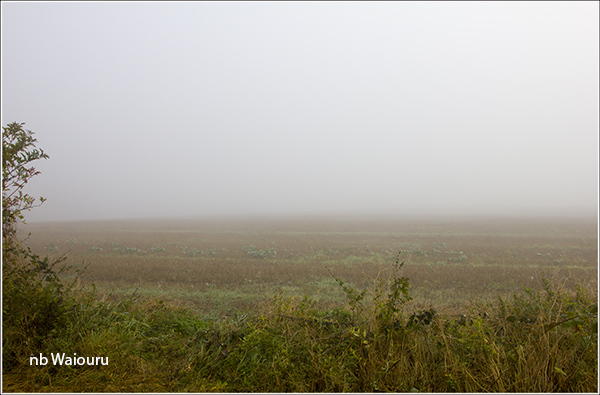 Nope… not much to see around here! Jan managed to take a photo in the mist of an elderly, fat, grey haired, nefarious individual interfering with our bow rope. I didn’t see him, however Jan rather cruelly suggested he look similar to me! 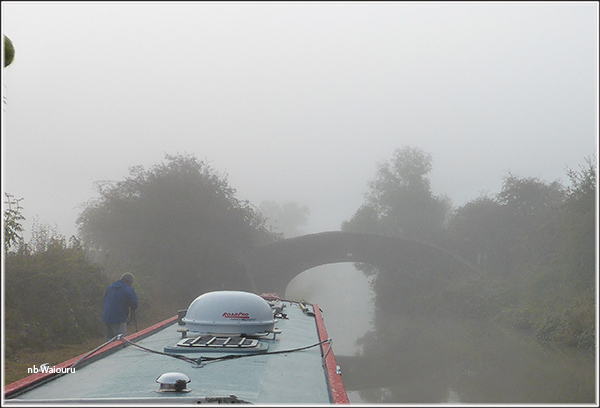 We decided to move to Hawkesbury Junction and headed off very slowly in the mist. Visibility was about two boat lengths and after crossing with the first boat decided to turn on our headlamp to provide some early warning of our approach. 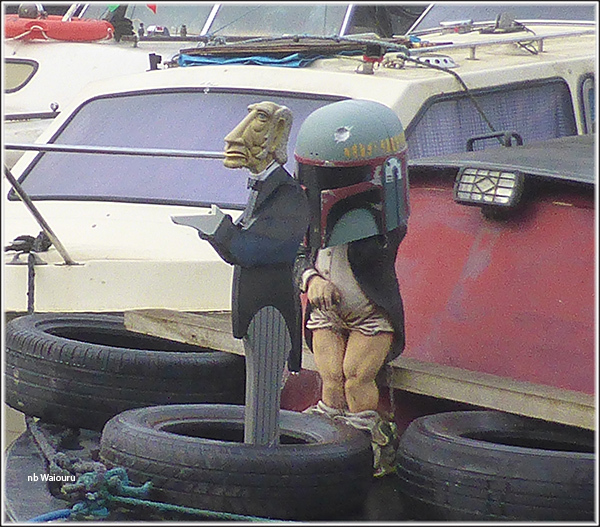 There were a couple of suspicious characters on the bow of a boat at Charity Dock. These don’t look like the actions of normal people. Blog reader Ade had sent me an email in which he mentioned his interest in following the canals on Google Earth and that he had seen an old arm at Bedworth. He also sent a link to some information. The location of the arm can be see on the following to extracts. The first is from Talky Toaster’s OSM and the second from Waterway Routes gps canal maps. Looking at the names of the surrounding location in the first map give a hint that this area used to be mined. Ade’s link had a photo. Basin Coventry Canal Coal pit fields Bedworth, 1968. 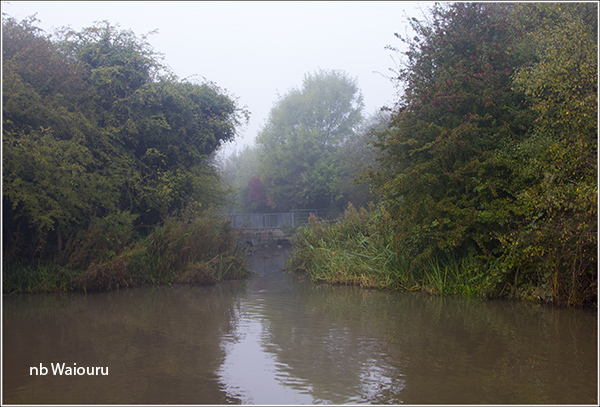 And this is what the entrance to the arm from the Coventry Canal looks like today. Very many thanks for the map info, this will be my next task. We wish you happy and safe cruising. Great Tom you did remember! So the bridge where the original photo would have been taken has been dropped and made a culvert by the look of it? I knew the trees and bushes would obstruct the view of the house from the satellite google image I was looking at. I also use Talky Toaster for my GPS (Garmin Dakota 20) mainly for geocaching which is another pastime of mine! I also find them easy on the eye if a little lacking in detail compared to the OS versions. I did send a donation to Martin of £10.00 though for his efforts in providing a free source. The equivalent OS I think would of been around £50.00 so a bargain IMHO. 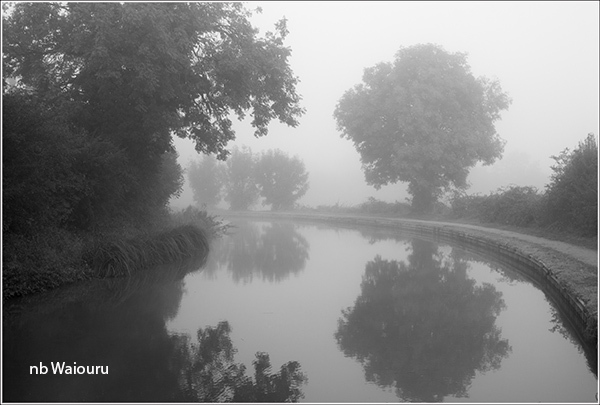 After looking at the schematic on your link I can see my photo is the junction of the Griff Hollows Canal and the Coventry Canal. 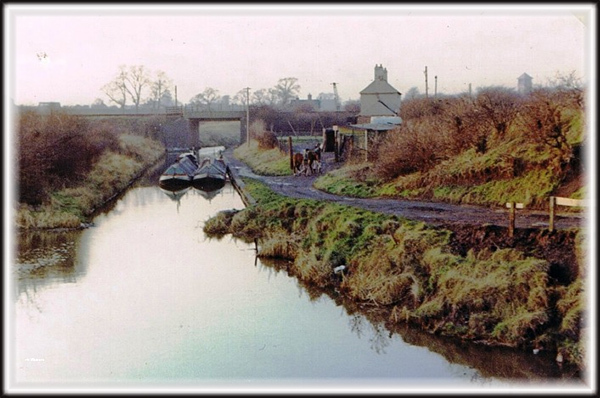 The canal must have been short terminating at Griff Hollows Wharf and connected to the remainder of the Arbury Canal network by the tramroad. Is Tom correct? As the Wiki page to which Geoff supplied the link, at the bottom has co-ords to the various places I clicked through to Bing Aerial maps and none go to the Co-ords of Toms post? Am I wrong? or have i missed something? The link through from the co-ords at foot of page supplies the above Old OS map and confirms my thoughts The Griff Hollow Wharf etc. is north of the Bedworth Hill junction. Great map the old OS, I love these. The coordinates took me to the location of the junction when using google maps. Were you using the coordinates for the Griff Hollows Canal?